I am listed as a Nurse Aide II and have not received my renewal form; What should I do? I am registered in another state as a Nurse Aide and would like to be registered in North Carolina; What should I do? I am listed as a Nurse Aide II. Do I have to renew my Nurse Aide I? Will I receive a card from the Nurse Aide Il Registry once I am listed or renew my Nurse Aide II? What is the Nurse Aide II fee? How do I become a Nurse Aide II? How do I maintain my Nurse Aide II listing? How do I renew my expired Nurse Aide II Listing? I am a nursing student; can I list as a Nurse Aide II? Can I challenge the Nurse Aide II to list as a Nurse Aide II? I am an EMT/Paramedic; can I challenge the Nurse Aide II? I am a Military Corpsman; can I list as a Nurse Aide II? You will no longer receive a paper renewal form from the Board of Nursing. Effective December 1, 2011, your application for renewal of your Nurse Aide II Listing must be submitted online. Renewal notification postcards are mailed out 90 days prior to the expiration date of your current Nurse Aide II Listing to the address on record with the Board of Nursing. Contact the Nurse Aide I Registry at www.ncnar.org or (919) 855-3969 for information on registering in North Carolina as a Nurse Aide. Yes, in order to be eligible for renewal of your Nurse Aide II, you must have a current Nurse Aide I listing with the Division of Health Service Regulation-Nurse Aide I Registry with no substantiated findings of abuse, neglect or misappropriation of property. If your Nurse Aide I has expired, contact the Nurse Aide I Registry at (919) 855-3969 or www.ncnar.org. The North Carolina Board of Nursing Licensure-Listing system is cardless. All licenses, as well as Nurse Aide II Listings are electronic. Employers and the public can access licensure information directly from the Board of Nursing database, which is the primary source for nurse licensure information. Initial Listing and Renewal of Nurse Aide II is $24.00. If your listing is up for renewal and you have a name change, you may update your name either prior to renewing your listing or immediately after you renew your listing. Access the Name Change Application located under My Profile on the Nurse Gateway. To list as a Nurse Aide II, you must have a current Nurse Aide I listing with no findings of abuse, neglect or misappropriation of property and you must complete a Board approved Nurse Aide II program. The Nurse Aide II program is offered at most community colleges and some private companies. To maintain your Nurse Aide II Listing, you must have performed nursing care activities for monetary compensation within the past 24 months for at least 8 hours under the direct supervision of a Registered Nurse. 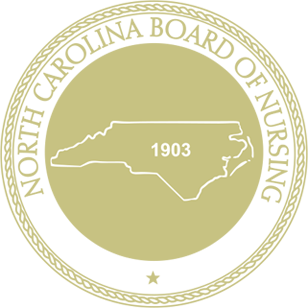 The North Carolina Board of Nursing will mail a renewal notification postcard 90 days prior to the expiration date of your current Nurse Aide II Listing to the address on record with the Board of Nursing. The Nurse Aide II renewal application must be completed online by the Nurse Aide II on or before the last day of your birth month. If your Nurse Aide II listing expired in the past 24 months, you are required to successfully complete the competency evaluation portion of the Nurse Aide II Program to be eligible for renewal. If your Nurse Aide II listing expired in excess of 24 months, you are required to successfully complete a Nurse Aide II Program to be eligible for renewal. Nursing students wishing to list as a Nurse Aide II should contact the Program Director at your School of Nursing to inquire if your school participates in Nurse Aide II skill verification. The Program Director at participating schools determines at what point in the curriculum nursing students have demonstrated knowledge and validated competence in performing all Nurse Aide II task requirements. If your school does not participate in Nurse Aide II task verification, you may complete the requirements by successfully completing a Board-approved Nurse Aide II program. There is no challenging of Nurse Aide II. You must complete a Board-approved Nurse Aide II program. EMT/Paramedics must complete a Board approved Nurse Aide II course. Copy of military documentation indicating discharge date (within past two years) or current enlisted status.